February 14th has been a special day for lovers since Roman times! But the tradition of giving gifts of love on Valentine’s Day only started in England in 1446! It was not until 1537 that St. Valentine’s Day was actually declared a national holiday by King Henry VIII. This romantic holiday offers lovers, sweet­hearts, friends and family the perfect opportunity to celebrate your feelings and con­vey sentiments of love. 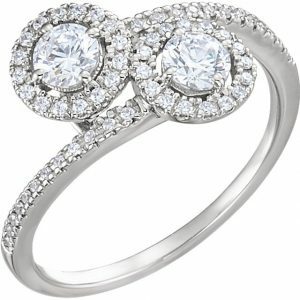 There is nothing like a gift from the heart and you can never go wrong with the gift of fine jewelry. 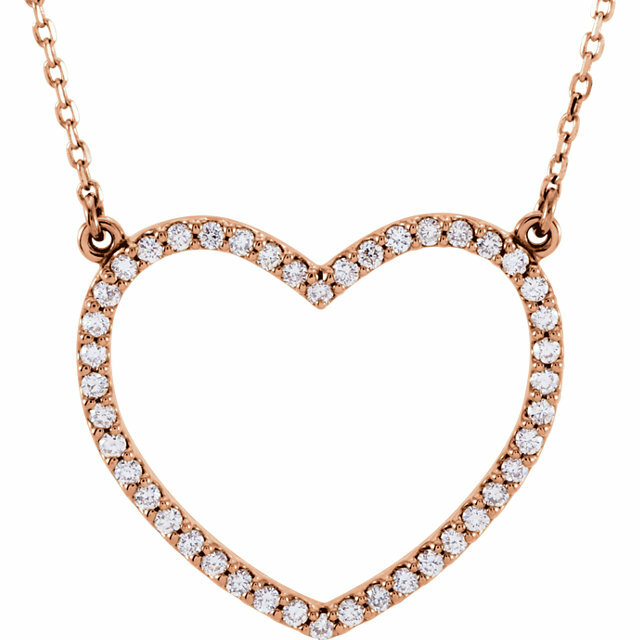 There is no ro­mantic symbol more enduring than the ev­er-popular heart pendant necklace, made of sterling silver, precious karat gold or platinum. 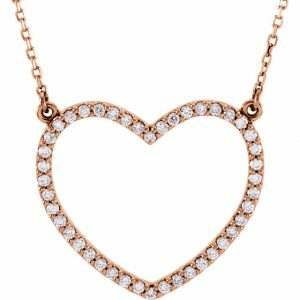 Heart-shaped jew­elry has always been a leading design for Valentine’s Day gifts. Today, you can choose from dozens of heart styles, traditional or non-traditional, colorful or classic, sophisti­cated or fun. 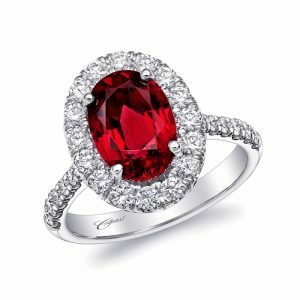 Any jewelry design created with passion­ate red or blushing pink gem­stones are always a Valentine’s Day favorite. And as always, nothing says “I Love You” the way a dia­mond does. You can never go wrong with designs glit­tering with col­ored gemstones or dazzling with fine diamonds to offer the pledge of fidelity and everlasting love. Two stone diamond rings are hugely popular this year and come in a variety of metal settings. Give her double the LOVE this Valentine’s Day! And, let’s not forget the gentle­men in your life. Men of all ages are sure to be pleased with signet rings, or this season’s popu­lar tie tacks and cuff links. Houston Jewelry July 2018 VIP Client Newsletter! Join our email list for special offers & events! © Copyright 1996—2019 Houston Jewelry Inc. All Rights Reserved.